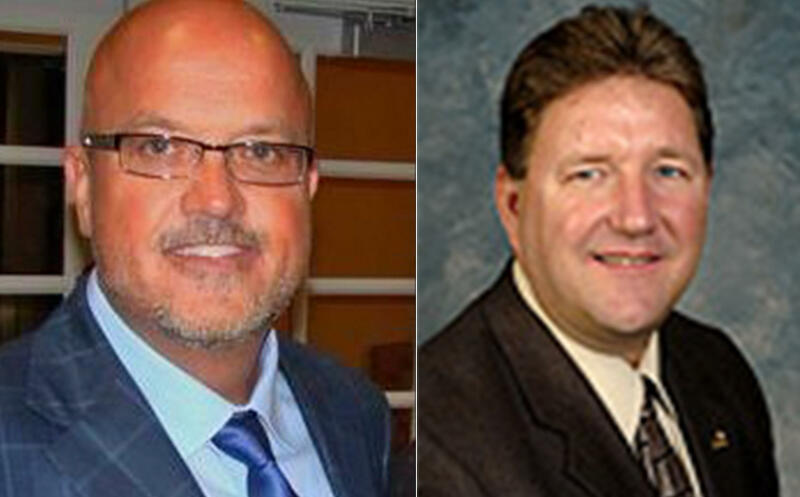 Republican candidate Jeff Jobe (left) is challenging incumbent State Representative Johnny Bell of Glasgow for the 23rd District Kentucky House seat. The Kentucky Republican Party and GOP state House candidate Jeff Jobe are calling on the attorney general to investigate the state Democratic Party and Democratic Representative Johnny Bell of Glasgow over a campaign mailer that was distributed over the weekend. The ad focuses on Jobe’s previous DUI arrests and features a copy of a police citation that contains Jobe’s personal information, including his social security number. Jobe accuses the Democratic incumbent of identity theft. "As a newspaper publisher, I certainly understand that providing such things would be wrong, and I contend that my opponent, as a defense attorney, would know that doing such a thing would not be ethical," Jobe told WKU Public Radio. Jobe is challenging Bell for his seat in the 23rd district that covers Barren and a portion of Warren County. Representative Bell claims he has only sent one mailer and it was on family values. He calls the claim an attack on him and knew nothing of the mailer. The Kentucky Democratic Party issued a statement saying the Republican party should be "ashamed for defending Jobe, who has been caught drunk driving repeatedly." "As for releasing public information about his arrests, we believe the voters of the 23rd District deserve to know the truth about Jeff Jobe," said Kentucky Democratic Party Chairman Daniel Logsdon. "We will make sure in the future that we only remind voters that he was trying to pick up his children with a blood alcohol level more than twice the legal limit, that he has over 20 citations for illegal and dangerous driving violations, and that he served time in jail for his drunk driving. Jeff Jobe doesn’t deserve the support of the voters of the 23rd House District." Jobe contends his past is fair game, but for the Democratic party to mail his personal information to thousands of people is "downright criminal."